Already, the Acting President, Prof Yemi Osinbajo, has settled the rift between the EFCC and the DSS, which had, under Daura, stood against Ibrahim Magu and his agency from investigating or arresting top security chiefs, suspected to have been involved in large scale cash movements. According to Daura, no other agency had any right to probe into the expenditure of the DSS, NIA and other security outfits, as doing so was against the law establishing them. 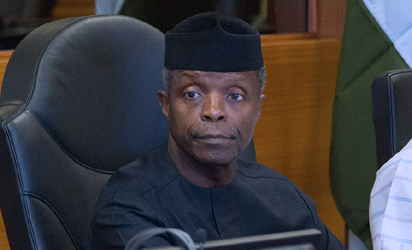 But Osinbajo on Tuesday cleared the way for all the officials of security agencies who had been fingered in the disappearance of about N80 billion last year, to be investigated and possibly charged to court. "You can see that the two heads are actually moving to actualise the directive of the presidency and Nigerians will soon hear of the outcome of the synergy between the two agencies headed by Magu and Seifeya,” the source explained yesterday.